We are delighted to announce that Insolvency and Restructuring Partner Ian De Witt has just been selected as a winner of a 2018 International Advisory Experts Award. International Advisory Experts is a membership organisation for lawyers, accountants, financial and tax professionals. They have members from most global countries and these firms are the cutting-edge go-ahead practices that are committed to growth. Co-head of Restructuring & Insolvency at Hong Kong law firm Tanner De Witt, Ian is a highly ranked and awarded, top-tier insolvency lawyer and litigator. 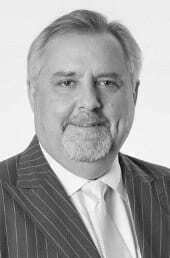 “An expert in the field of insolvency-related matters” (Tier 1, Asia Pacific Legal 500 2017), Ian has almost three decades of experience in a variety of high profile cases. Ian qualified and worked in London after obtaining an honours degree in law. After moving to Hong Kong he jointly established Tanner De Witt in 1999, with one member of staff. Today the firm is a leading independent firm with over 80, the Asia Pacific Legal 500 2018 noting that the firm has “an excellent reputation” and “among the independent firms they are one of the most able to satisfy international clients”.